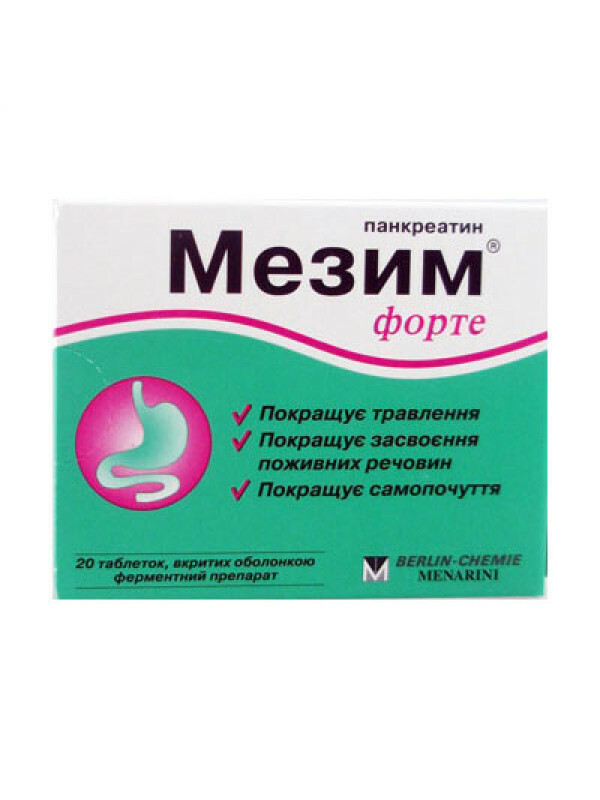 Mezim - Forte is and enzymatic preparation which improves functional work of gastrointestinal tract and normalizes digestion. Mezim Forte is recommended for use as a replacement therapy, to promote better work of pancreas in cases of chronic pancreatitis, pancreatectomy, post radiation treatment syndrome, dyspepsia, wind, infectious diarrhea. Mezim Forte is also used by people who dont suffer from stomach diseases but have some temporary problems caused by overeating and irregular eating, slow-moving pace of life.